Photos: On Prunus and zinc roof. Co. Cork, SW Ireland. 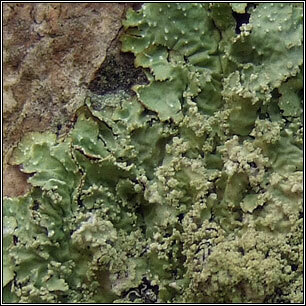 Thallus bluish-grey, grey-green or yellowish-green, lower surface black with paler margins. 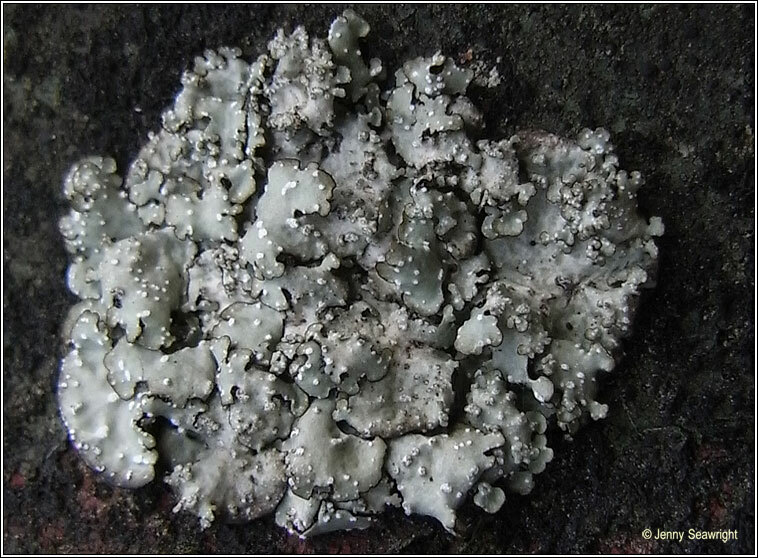 Lobes dotted with white pseudocyphellae producing soralia with coarse, granular soredia. 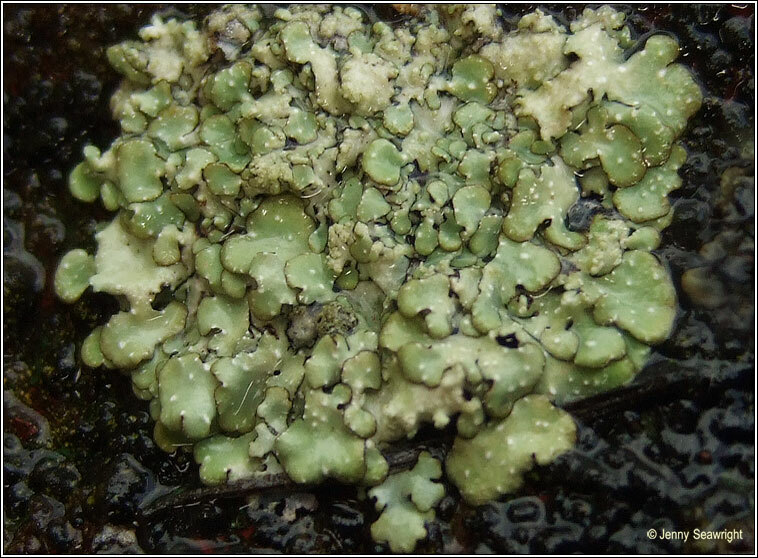 Small folioles often present, apothecia and pycnidia absent in Britain and Ireland. 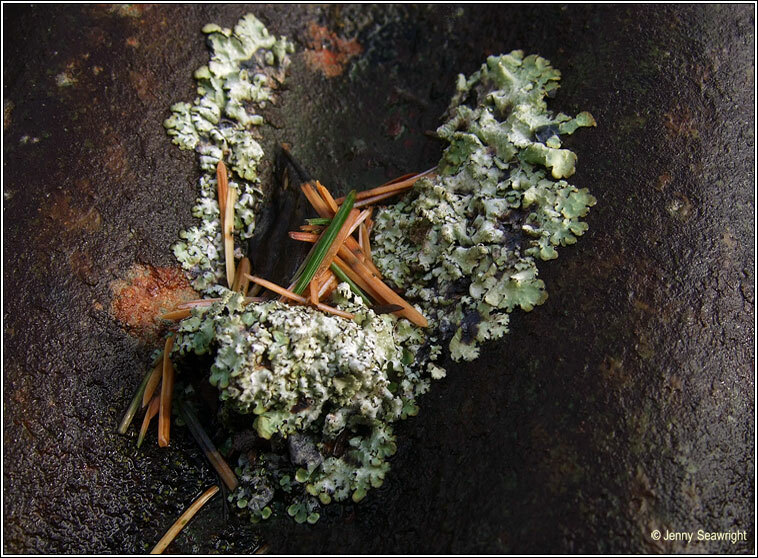 'Old woodland' indicator usually found on mossy trunks in sheltered, humid woodlands. 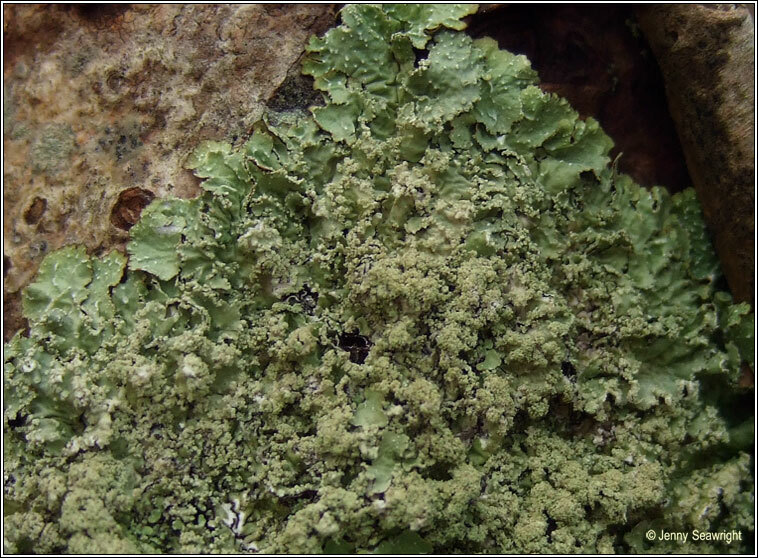 Also occurs on mossy rocks. Scattered throughout Ireland. Cortex C+ yellow. Medulla reactions negative.